Some fan art from ETHDenver 2018! Performance increases for our Ethereum smart contracts. Further developments to our payment models. 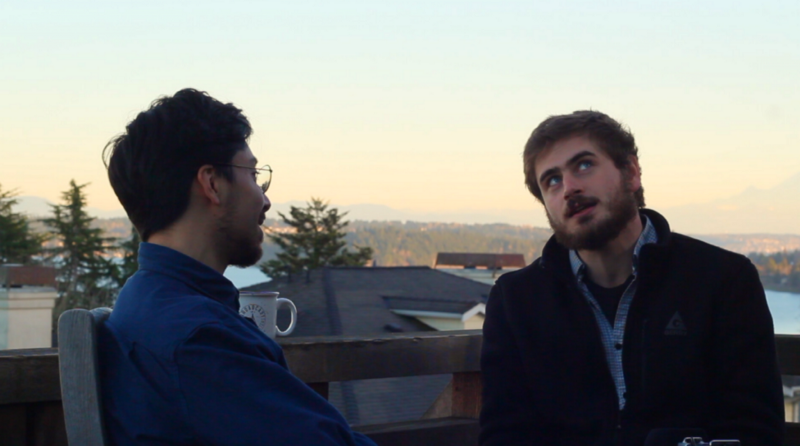 We’re excited to release the first episode of the NuCypher Interview Series: Builders of the Decentralized Web. In this series, we talk to the developers, thinkers, and innovators working on the decentralized web’s foundational infrastructure. Episode #1 features Justin Myles Holmes, a key member of NuCypher’s engineering team, and self-described ‘Chief Chocobo Breeder’. Justin also provides a fresh perspective on what proxy re-encryption and the NuCypher KMS bring to the decentralized world. Special thank you to Arjun Hassard for the thoughtful content. 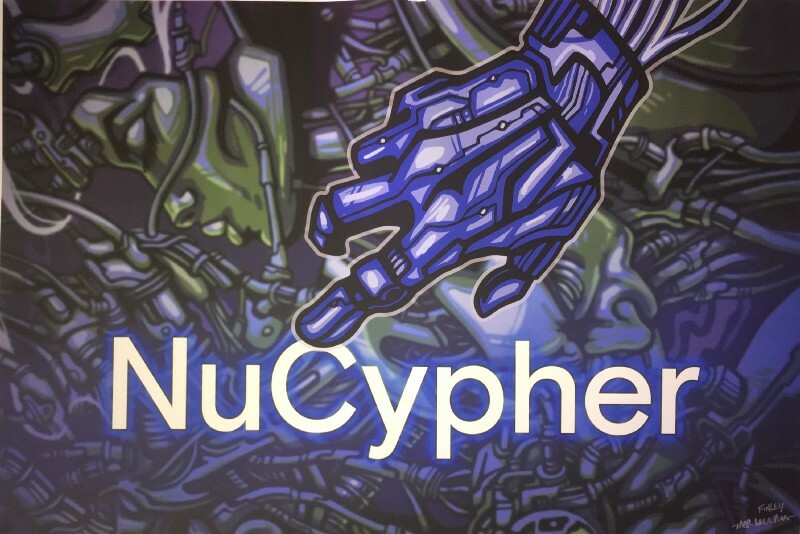 This month saw the NuCypher team embark on a mini-tour through a few of the biggest blockchain and crypto meetups in California. MacLane Wilkison and Joh Pacific presented a hands-on workshop “Introduction to Blockchain Cryptography”. They presented and gave a tutorial on how to use NuCypher KMS to build decentralized applications and for granting permissions to read encrypted data. A great double-header event which included an opening talk from Joseph Chow — a consulting Engineer with ConsenSys and author of BTCrelay, the Bitcoin-to-Ethereum bridge. Big thank you to the Berkeley Bitcoin Meetup for having us a part of their Enterprise Series. 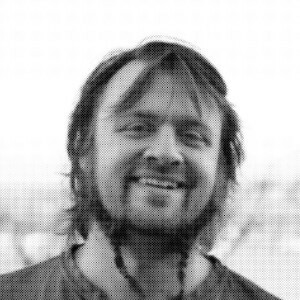 Michael Egorov, NuCypher CTO, spoke about our KMS, pyUmbral, economic incentive layers to keep nodes honest, and token economy. 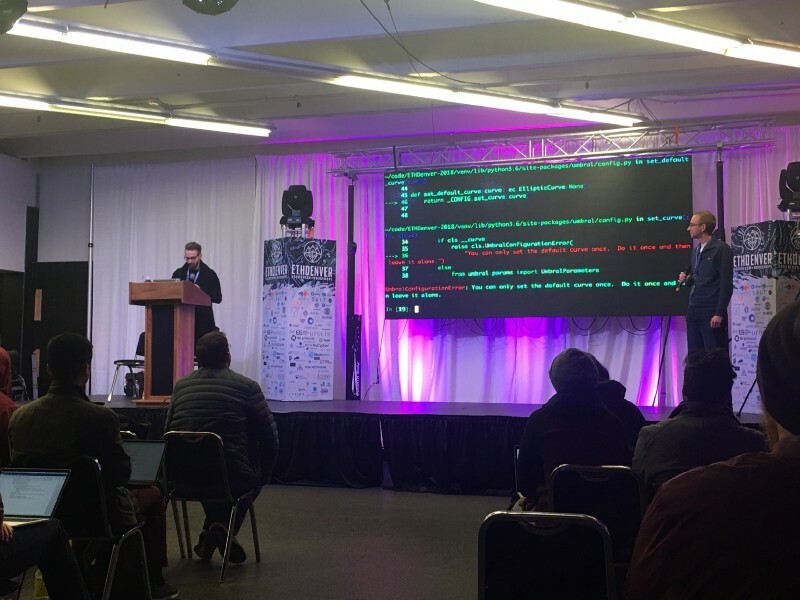 Arujan Hassard attended TreeHacks conference representing the NuCypher team as a 36-hour hackathon took place focusing on the verticles of security, health, and energy. Arjun was one of seven judges for the security stream. 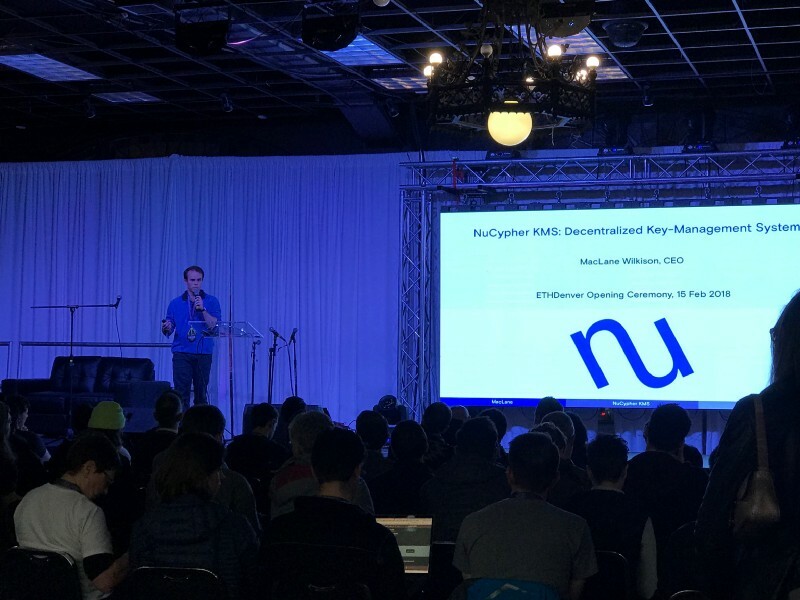 Here is the complete rundown of ETHDenver including video from the talks, pictures and what was created at the hackathon using NuCypher. The recording of the panel discussion, “dApp Stacks” with MacLane Wilkison is posted below. 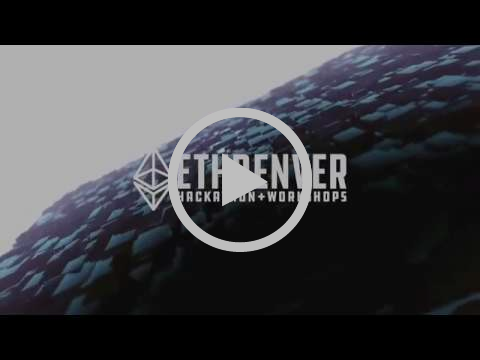 We want to thank the ETHDenver organizers, volunteers, sponsors and hackers for making this one of the top events of the year. Can’t wait to see you all next year!